Okay, as promised, I've decided to promote this to a topic in its own right from a conversation over on the Martian Spiders on Earth thread. I've decided to make this first post a summary post, and then go into specifics. 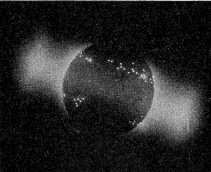 Long story short, I've noticed a pattern which I think will inevitably lead to some level of illumination about the sun, planets, moons, Earth, and their relation to certain electrical features/effects. Specifically, I'd reference Birkeland's terella experiments as a guide to understanding the planets and moons in their electrical environment. More specifically, I'd note that in the experiments above a good majority of the objects developed a plasma torus around their equators. It has now been shown that Earth has such a torus. I suspect that a number of planets (including Venus which is massively scarred around its equatorial plane) also have or had such a torus. Even the sun demonstrates this features in its solar flare cycle. I'll go into more detail shortly. Just wanted to get this post up and going, first. 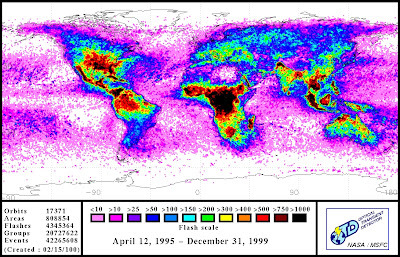 Michael Gmirkin wrote: When one looks at the annual or "since inception" lightning map of LIS / OTD data, one sees that Africa still bears much of the brunt of electrical activity around the globe. Any idea why that is? I mean, do particular features of Africa make it more of a target? Is their weather that significantly different from other weather around the globe such that they receive that much more lightning? Now that I revisit the data, it makes more sense. 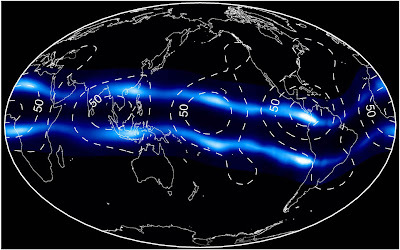 There's actually a band of lightning distribution around (at and slightly above/below) the equator akin to the plasma torus that was recently "discovered" (despite the fact it should have been obvious from Birkeland's terella experiments, most of which developed a similar torus around the equator). It also makes sense when taken with the solar cycle and sunspots. As I recall rather vividly from images of the sun and sunspots, over the solar cycle, the solar flares tend to migrate in "bands" toward the poles and/or back to the equator. This can be seen in time-lapse videos of the sun. You'll see a big band around the equator morph into smaller bands at higher and lower latitudes over time. I've noticed a very similar pattern in lightning distribution over time in the LIS / OTD data. (Keep in mind, that whereas the OTD data was world-spanning, LIS is centered around the equator and cuts off some of the interesting stuff at the higher and lower latitudes. But I think information gleaned from the OTD data, before the data was cut off at the end of the OTD instrument's life cycle, can still be applied and rolled forward in the LIS data.) I'm assuming it's all cyclical just like the solar cycle. When you watch OTD full data set in time lapse, you see migrating bands of lightning distribution in the monthly sets (it blurs together a bit, however, in the yearly or total distributions), which pretty clearly demonstrates the plasma torus and "migrating bands" pattern. That matches up handily with Birkeland's terella. That man was about 30 kinds of genius, I'll tell you! The images seem to show that the plasma torus remains appx at the equator, but the discharges seem to oscillate from centered around the equator, to off-centered above/below the equator. Don't forget the Valles Marineris scar on Mars. 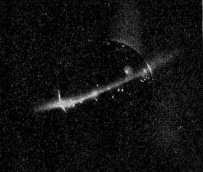 As mentioned on Holoscience, it appears as though a rotating torus has swiped the planet. Posted: Fri Jun 22, 2007 1:04 pm Post subject: The sun. I don't yet have images available from the sun to back up the notions above. Having trouble tracking down the specific images I've seen in the past. Will post them ad I run across them. Meanwhile, if anyone happens to know of images/animations/videos of the sun in time-lapse showing progression of the solar flares over the solar cycle, I'd love to see it. Seems most of the sites like doing day-by-day shots, but for some reason time-lapse videos over the course of a month or a year seem to be lacking?? pln2bz wrote: Don't forget the Valles Marineris scar on Mars. As mentioned on Holoscience, it appears as though a rotating torus has swiped the planet. Quite possibly. I think there's a slightly more intricate explanation for Valles Marineris some prefer, though I'd want to see a bit more data before jumping to that level of detail. But the notion of a plasma torus would certainly make sense in terms of the large-scale equatorial scarring seen on Mars and on Venus. Likewise, the recent images from IO by New Horizons appear to show "glowing gas" around the equator, as the scientists in charge of unimaginatively describing it like to put it, as well as mentioning "volcanoes". I'm pretty convinced that what they're looking at is a plasma torus in a dim glow mode and arc spots around the equator. See the Electric IO thread for more specific comparisons and comments to that effect. Anywho, mainly wanted to get the topic going. Will be happy to see more info posted as available, and will probably add some myself as time goes on. IF I can find the image stashes for the solar observations I've seen. What's really interesting is not just the equatorial banding, but that the local concentration of lightning centers roughly over each landmass; that is to say, each landmass that falls under that equatorial band has its lightning distribution centered on the center of that land mass. Are there any more maps of that nature but with finer granularity over, say, the US? Don't know of specific sites for getting into finer detail though. I'd guess NOAA's site might be the best place to look, but hard to say. As I look at the image above again, I'm not so much seeing the "centered on the landmass" thing you're speaking of. At least in the aggregate "since inception" shot. It does seem to even out to the highest concentration over the equator (see central America; nearly black). Granted central Africa is nearly black too, but it's also centered over the equator, appx.. Likewise, Thailand/Indonesia seem to get a massive brunt of the strikes too. The region around Pakistan / Western China seems anomalously dark. Though as I look at the latitude of the SE corner of the USA, I guess it's at about the same latitude as Pakistan/China. So, maybe that dark spot's not so anomalous as I initially thought. As I look at the "green" portions of the map, I guess I can see how you might say that the "center" of the land mass gets more lightning. I was mainly looking at the dark brown and black parts. I'm wondering if maybe it's just an issue of drier inland parts of the world have a harder time balancing charge or capactitor "leakage" through the atmosphere, thus upping the incidence of "catastrophic" (lightning) discharges that rise to the level of creating a "flash" (catastrophic breakdown of air-as-dielectric-insulator?) that can be seen from orbit? Is more humid air better at conducting charge balancing events than drier air (thus less likely to have a "catastrophic failure" since it would build up less of a charge due to leakage)? Dunno. When I turn off the lights and leave on the ionizer from my experiment the wires glow with plasma ,and you can see what looks like flashes directly under the wires.It has a lightning/aurorae look to it.But its not like fillaments per say more like an wide field/curtain of plasma.It always depends on how much dust is present on the wires.not sure the exact correlation. But I do see what looks exactly like the dots on the orbs above. Electric Universe And Plasma Cosmology Is Pregnant With Promise For Understanding Our Collective Past, Current Internal and External Present, and Bestows New Hope On a More Exellent Way Forward In Our Unified Individuation! Plasmatic MnemoHistory wrote: When I turn off the lights and leave on the ionizer from my experiment the wires glow with plasma ,and you can see what looks like flashes directly under the wires.It has a lightning/aurorae look to it.But its not like fillaments per say more like an wide field/curtain of plasma.It always depends on how much dust is present on the wires.not sure the exact correlation. But I do see what looks exactly like the dots on the orbs above. Hmm, that might be interesting to video with a camera capable of "night vision" or some such. IE, if one could get a shot of the plasma / spots on the surface material...? Could be interesting. Do the spots move at all? Are any effects associated with the spots if it's left on for a while (craters or other movement/erosion)? I have a pair of night vision goggles,so ill try to see if the camera will "see" through them. I ve wondered if I left it on would I see any erosion as well.Ill clean the grid and put fresh talc and see.But it really looks like a heat lightning storm. Also when you view the surface the plasma is touching it appears to glow as well. Plasmatic MnemoHistory wrote: I have a pair of night vision goggles,so ill try to see if the camera will "see" through them. I ve wondered if I left it on would I see any erosion as well.Ill clean the grid and put fresh talc and see.But it really looks like a heat lightning storm. Also when you view the surface the plasma is touching it appears to glow as well. I was thinking of something like my old (now) Sony handycam that has a "night mode" and "color night mode" (I think they just mean "green" instead of black & white. "Ohh... There was a green switch there all along!") switch that'll switch it into a kind of a night mode. Two things, this is a very good thread. I'm sure I remember seeing the movie you mentioned regarding the movement of sunspots from upper regions towards the equator. It was a long time ago and I couldn't find anything on the net. But I know that i've seen it. In relation to the plasma bands i'm wondering *if* this is the section of Earth's equator that may extend directly into the plasma torus that encircles the globe i.e. the plasmasphere? If you go to the Image EUV site and look at the movies the plasma that encircles the Earth seems to do so primarily at it's equator and looks to form a disk corotaing with the earth to some degree. The torus is perhaps not a sphere per se because it is plasma that is trapped within an sort of figure eight pattern (with earth at center) by the Earth's magnetic field lines. I'm wondering *if*, like the rings of Saturn, this torus; with increasing density as one approaches the equator - at some point becomes relatively 'flat', but still hundereds of miles wide. But that, upon intersecting with the Earth at the equator the bands could possibly be the upper and lower planes of the plasma torus's equatorial intersection? It is very interesting that it has four points of highest density which correspond to areas that expeirience high lightning activity. It is so wanting of an EU explanation. Second thing related to the Sun. "If the globe has a smooth surface and is not magnetised, the disruptive discharges (white patches) come rapidly one after another, and are distributed more or less uniformly all over the globe (see a). On the other hand, if the globe is magnetised, even very slightly, the patches from which the disruptive discharges issue, arrange themselves then in two zones parallel with the magnetic equator of the globe; and the more powerfully the globe is magnetised, the nearer do they come to the equator (see b, c, d)"
The difference between magnetized and not magnetized in the terella experiment was whether or not current was applied to the metallic sphere. When related to the Sun and the known movement of Sun spots from upper and lower lattitudes towards it's equator, just like the "cathode discharges" or white patches on the Birkeland terella, then it seems the corresponding inference would be the results of either an increase in the Sun's maganetization or an increase in it's "discharge tension". Which would imply an increase in current or electrical stress? Here are comparitive photos of the Sun at Solar Maximum and Minimum. 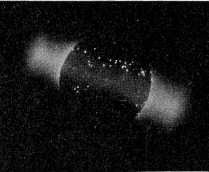 When you mentioned that movie, and having seen it myself, it brought Birkeland's terella experiment to life in relation to the Sun's solar cycles. I do wonder if the plasma bands are stationary? Considering the dynamics i'd tend to think not. Solar wrote: Two things, this is a very good thread. When I originally wrote some of the stuff, I accidentally said sunspots, when I meant to say solar flares and/or prominences. I've since corrected that error where I noticed it. I don't know if sun spots move with the solar cycle as well, or only solar flares. Also, I don't recall off hand whether there was a specific movie that put a bunch of frames together, or if I was just looking at a bunch of still frames one after the next (one of my occasional data "digs"). I know three was either a SOHO, STEREO or TRACE site that would let you look through specific daily frames at various wavelengths in a relatively interactive form. And I seem to recall there was also a gallery of movies. But I can't for the life of me recall where.